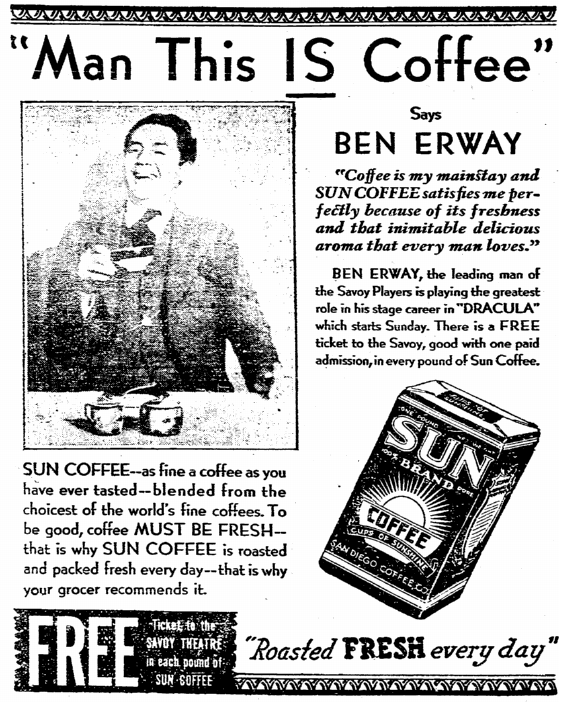 Ben Erway was born in Reno, Nevada on April 25, 1892. 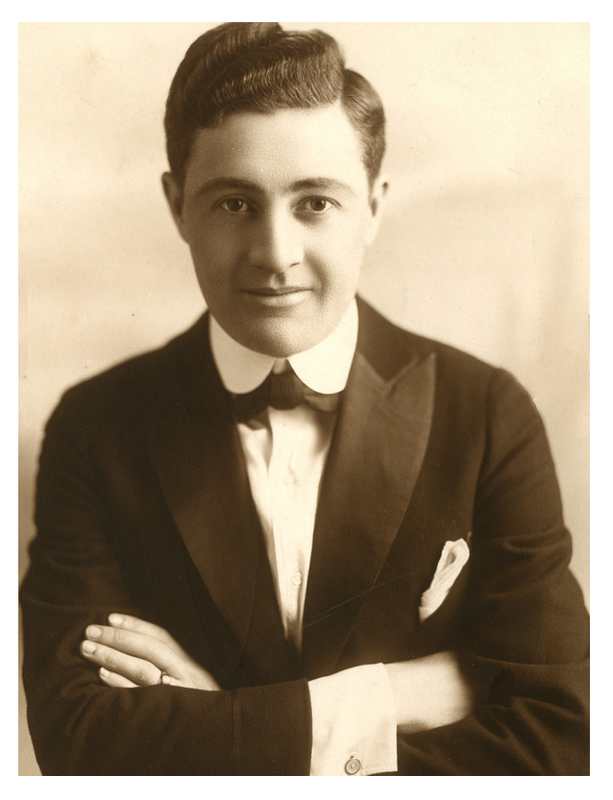 During his long career he was active in the theatre, films and TV. 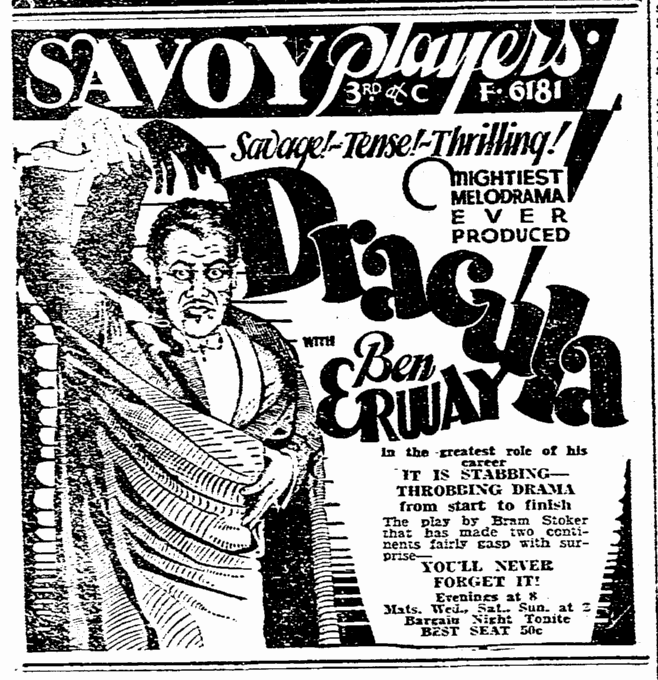 He had uncredited roles in Son of Dracula (Charlie the train conductor) and Hitchcock’s Notorious (a reporter), and appeared as Pete Van Horn in the “The Monsters Are Due on Maple Street” episode of The Twilight Zone. 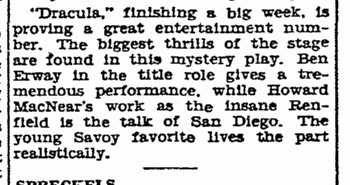 He died in Sun City, California on February 6, 1981. 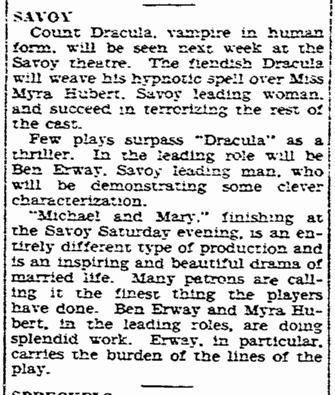 “Dracula” is melodrama presented in stock with Ben Erway, Myra Hubert and the Savoy Players. 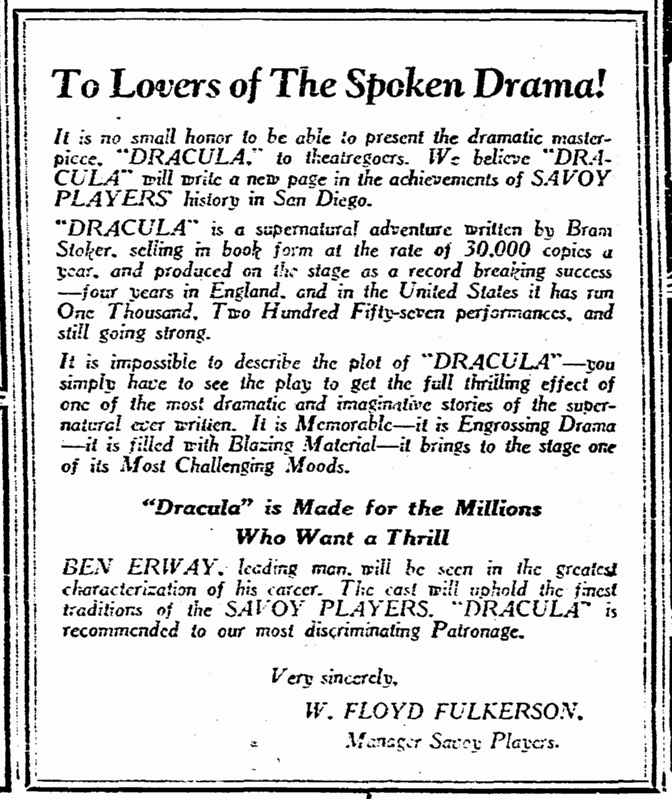 There is no more horrifying horror play “Dracula”, story of a vampire spirit, dead for 600 years, who roams a peaceful countryside leaving terror and moaning victims in his wake. 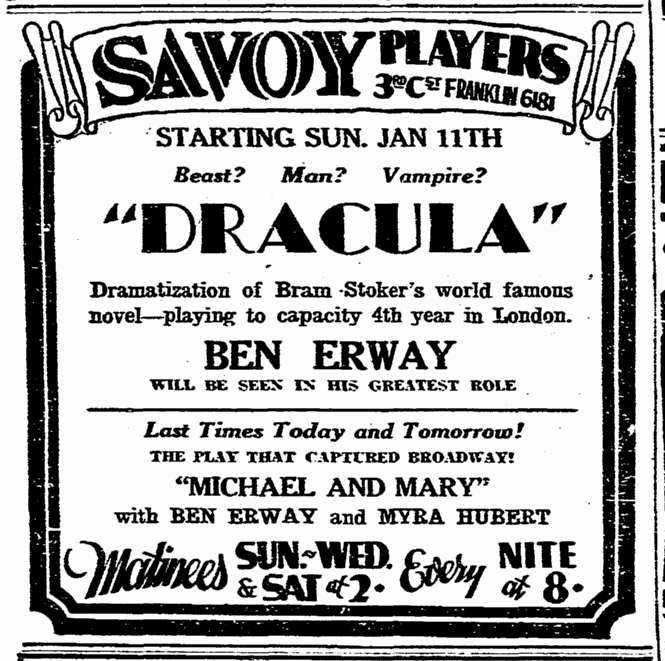 Ben Erway, as Count Dracula, will be seen in a role entirely different from any in which he has been seen here. 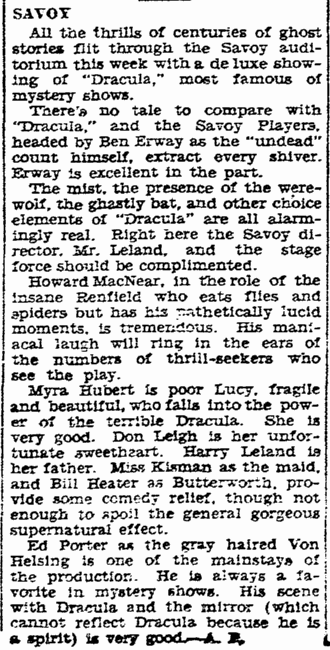 Myra Hubert has the only woman part in the play.